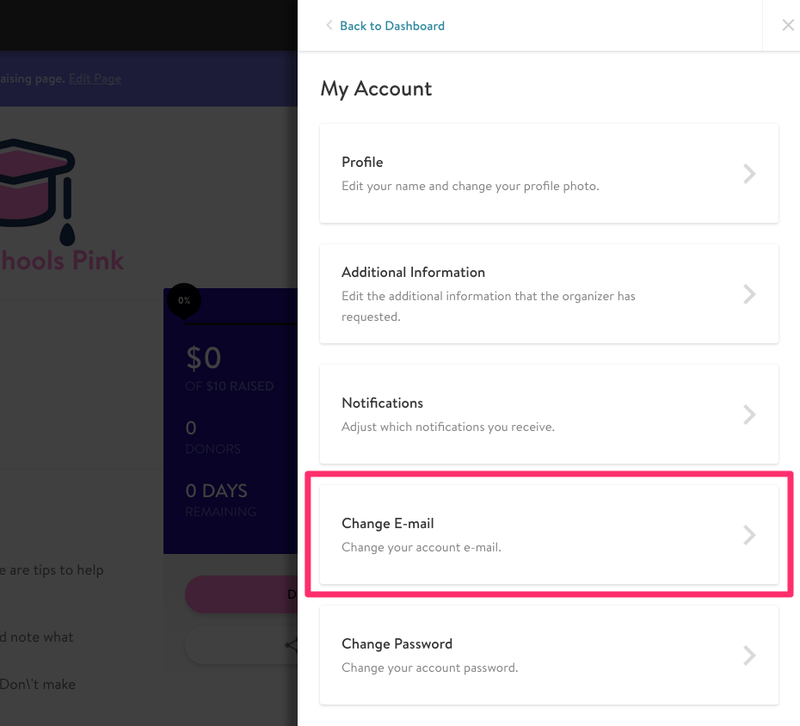 If you set up your personal fundraising page account under one email address, but for any reason want to change it to another email address, it's easy to change it on your end at anytime! Step 1: Login to your personal fundraising page. Step 2: Select "My Account" from the Dashboard. Step 3: Select "Change E-mail" from the menu. Step 4: Your current email address will be auto-populated. Then, just enter in your current password and new email address. 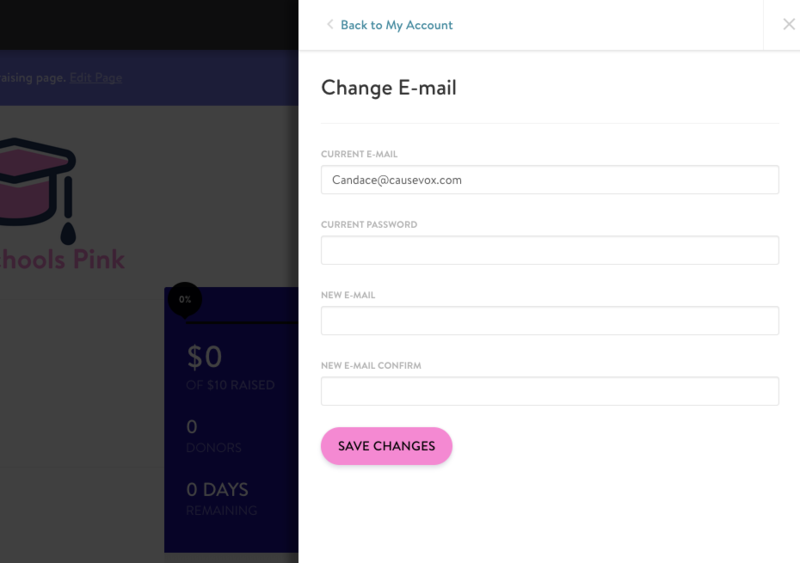 When you select "Save Changes" your email address will be updated. Note: Only fundraisers can edit the name, photo, password, and email address on their account. 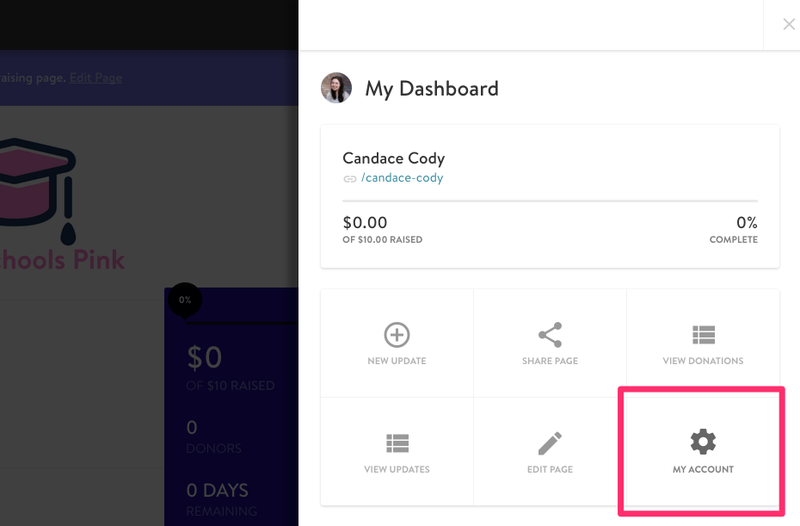 We don't provide access for campaign admins to make changes to fundraisers account-level settings.